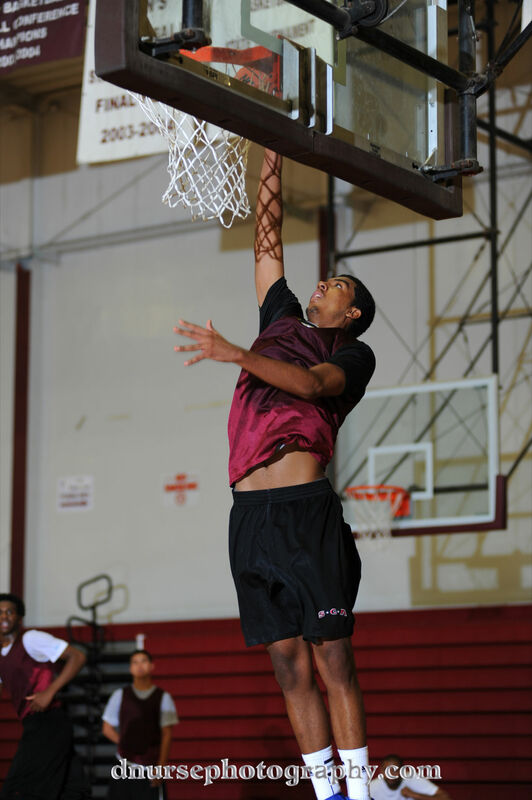 At 6’9”, 225, sophomore Zack Hollis is AVC’s leader in the paint. Last year, with AVC loaded with “Big” talent, Zack played about 5-7 minutes a game with the average increasing as the season moved on. Zack’s biggest accomplishment the past year was learning to play against D-1 level Bigs. He worked hard, had a great academic year, and now is ready to take the next step. This summer Zack was invited to “play with the big boys” at the Drew League. I watched Zack not only hold his own against the D-1 and pro studs, but do well especially playing the PF position. His strength, foot speed, and mid-range shooting has improved. Zack has been doing a lot of mountain trail running and weight room with Coach Bell and the team in the Antelope Valley. Add to that one on one skill training has added to his post versatility. Hollis runs the floor well which will be helpful in a year of greyhounds. Expect a breakout year for Zack. A double-double year, his great size and academics would make him a hot commodity for D-1 schools. Zack Hollis signed with D-1 Lamar University today.